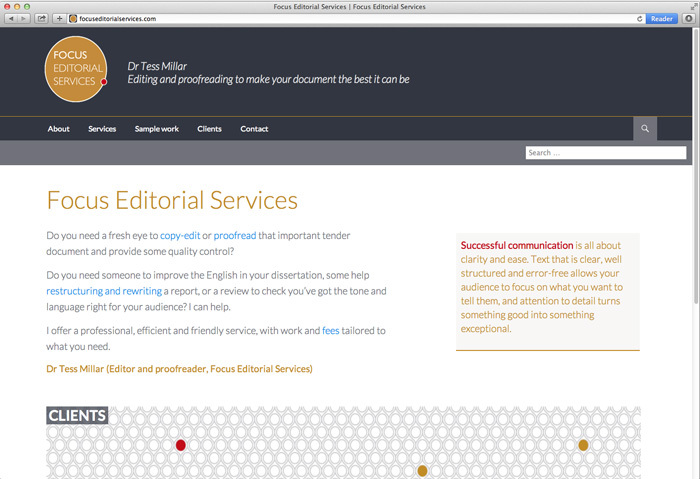 New professional identity and website for copy-editing and proofreading company ‘Focus Editorial Services’. Suggest improvements to site architecture (e.g. 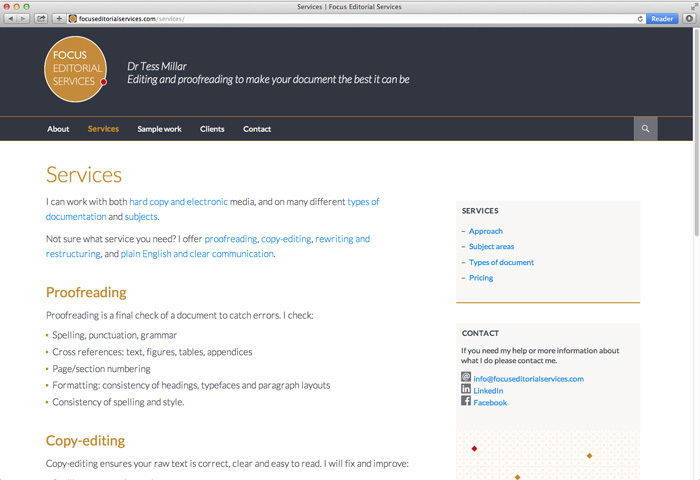 site-wide links and surfacing contact information on all pages). Arrange web hosting etc. 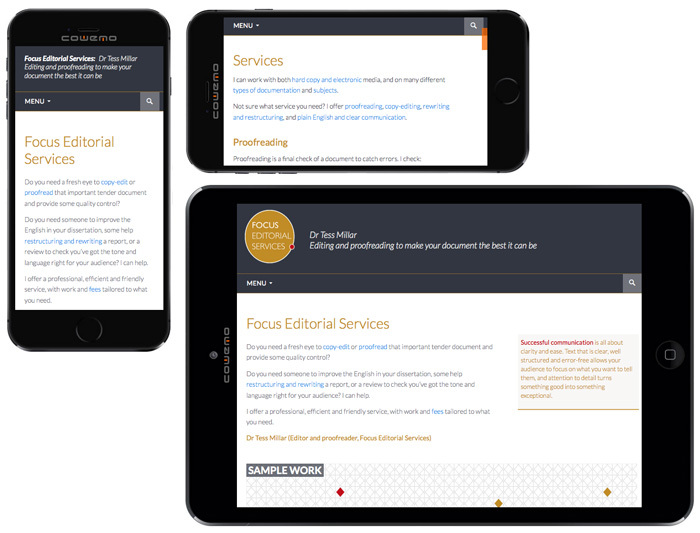 and design and build website optimised for multiple devices (mobile, tablet, desktop and print). Develop a light visual identity (logo, colour palette, typography and images). Create new web images as part of the new identity to be applied to stationery and marketing materials. Concept and visual identity, and website design, build and maintenance. 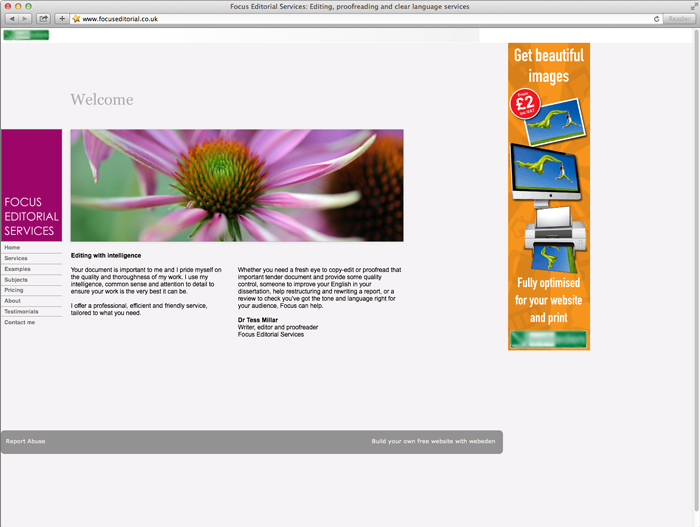 WordPress with additional HTML and CSS.